Lucero "Lucy" Reyes, a criminal justice student in Dr. Harris' senior seminar course, published a "Letter to the Editor" last week in the Washington Times. Her letter, entitled, "Despite Free Speech, Use Caution Online," lauded our nation's first amendment right to free speech, but warned against the potential consequences of using social media inappropriately. To support her argument, Reyes referred to a federal appellate court case, Bland vs. Roberts, in which an employee was fired for "liking" his bosses' election opponent on Facebook. While the court ruled that the action taken by the employee is protected as a form of free speech, Reyes argues that both employers and employees should exercise caution when using public social media channels. "I believe that freedom of speech is one of our most important rights," said Reyes. "People should be able to speak without fear of getting in trouble, but they also should be wise in what they say and in the communications outlet they use." She concludes her letter by noting, "In general, refraining from negative and inappropriate use of social networks is always advisable. You will never have to worry about online behavior if you keep it clean." Reyes is completing an internship with the Harris County Institute of Forensic Science-Investigations. 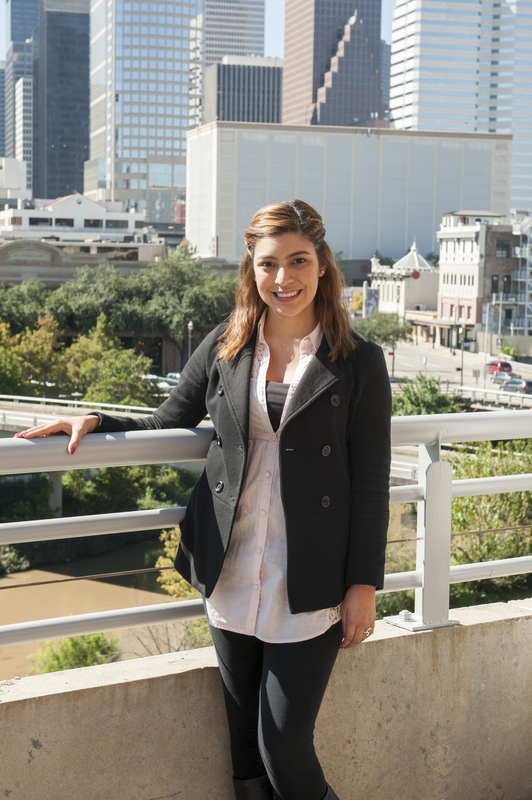 She will graduate from UHD in 2014 and hopes to work for a federal agency as a forensic investigator.